Product prices and availability are accurate as of 2019-04-21 02:57:33 UTC and are subject to change. Any price and availability information displayed on http://www.amazon.com/ at the time of purchase will apply to the purchase of this product. 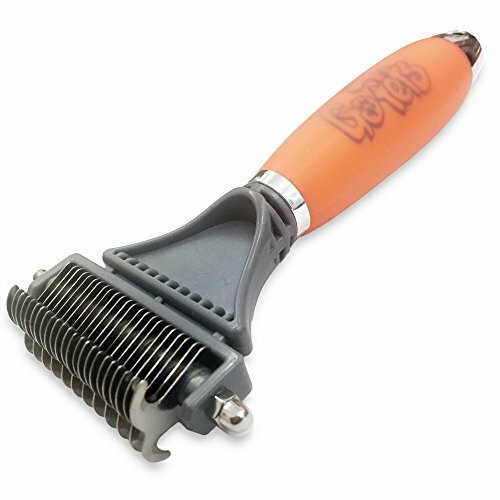 OVER 1000 POSITIVE CUSTOMER REVIEWS 4.5 STARS - Over 1000 customers can't be wrong, the original and best dematting comb on the market. Don't be fooled by knock offs and copy cats. SPECIAL OFFER TODAY ONLY - BEST PET COMB ON AMAZON FOR A MORE COMFORTABLE AND PLEASANT EXPERIENCE - Sharp teeth prevents pulling hairs and the rounded ends help make it safer on sensitive skin. 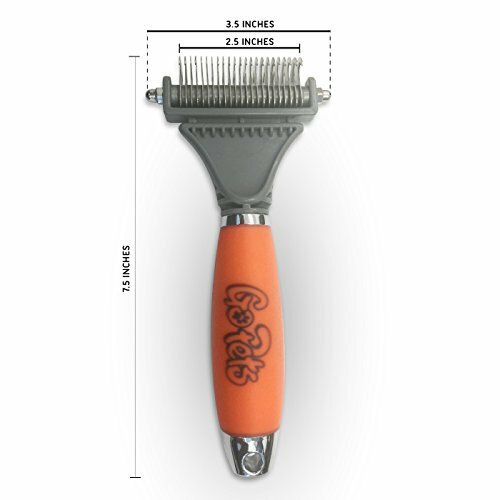 CLEAR ALL DIFFERENT MATS AND TANGLES - With the double sided comb that has a different number of teeth on each side. Lower density side for stubborn mats and tangles, and a higher density side for faster results or thinning and deshedding. 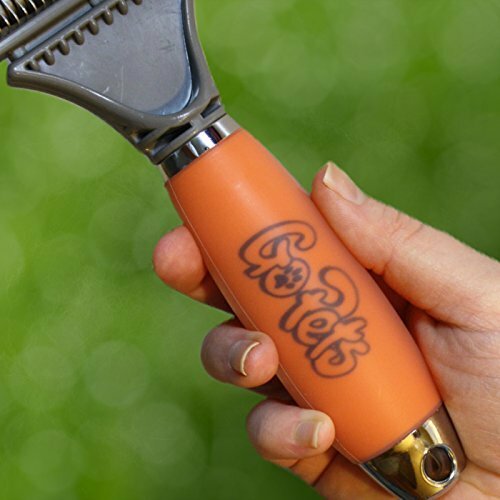 COMFORTABLE FOR YOU AS WELL - With our non-slip silicone gel filled handle that conforms to your hand no matter how you decide to hold it. 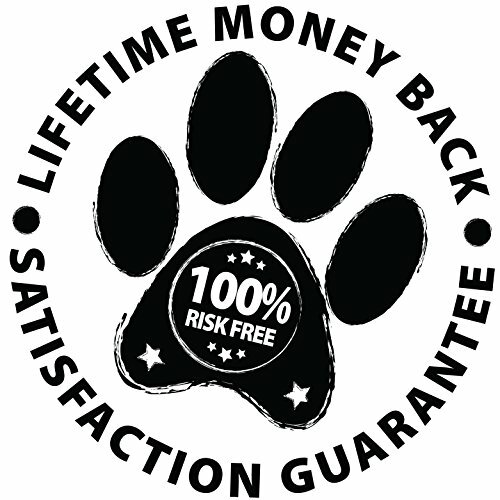 BUY NOW WITH CONFIDENCE - Our Unconditional Satisfaction Guarantee - ABSOLUTELY NO RISK TO YOU! We offer a REPLACEMENT TOOL or REFUND if for any reason you are unhappy with your purchase! GIVE BACK TO THE COMMUNITY when you buy with GoPets we donate a portion of all our profits to animal charities, no-kill shelters, and animal rescues so you can give back to your furry friends and their communities.